AirPods stay securely in your ears—yes, even on the treadmill. 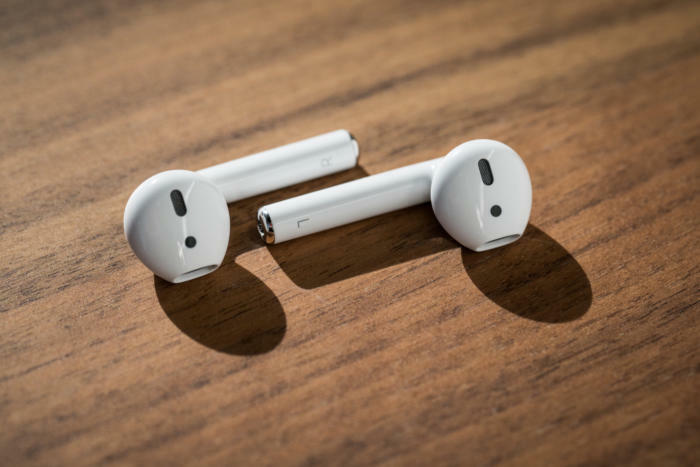 When Apple announced its totally wireless AirPods, the only question on my mind was: Will those things survive a run? It seemed impossible. I can barely get a pair of high-end Bluetooth buds with foam or silicone tips to fit comfortably in my ears and stay there while I work out, let alone a pair of hard plastic earphones. And the EarPods Apple includes right out of the iPhone box fall out of my ears if a breeze wafts near them just so. None of the early AirPods reviews addressed their fitness potential, so I snagged a pair in-store this week and put them to the test. The good news: These things don’t budge. I ran on a treadmill at 6mph to see if the impact would dislodge them, but to no avail. I hit the elliptical to keep the sweat momentum going. Gross, I know, but I had to see if the AirPods would slip out. Nope. Then I headed out into the elements for my usual 3+ mile morning run through Brooklyn on a mix of sidewalks and park trails. There’s wind to watch out for, New Yorkers to dodge, and hills to jog up and then back down. The AirPods are so lightweight I barely felt them as I was running, but they didn’t move an inch. 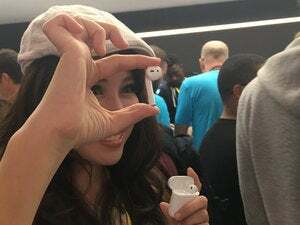 In fact, the only time an AirPod has fallen out of my ear is when I knocked it out with my own hand. Like the EarPods, the AirPods are not marketed as water-resistant, so sweat could eventually cause some problems. That’s something to consider, although I have pairs of EarPods that have survived regular workouts for years. But EarPods come free in the box, and AirPods are $159. If you’re concerned about water damage, find a pair of sweatproof Bluetooth ’buds to exercise in. If you already own an Apple Watch and pay for an Apple Music subscription, prepare for the AirPods to dramatically upgrade your workouts. The Apple Watch has room for 2GB of local music storage, or about 250 songs. You can sync songs that you’ve purchased on iTunes, or if you’re an Apple Music subscriber, you can sync any playlist you’ve created or saved to your library. Open the Watch app on your phone, then tap through My Watch > Music > Synced Music to select which playlists to sync to your watch. 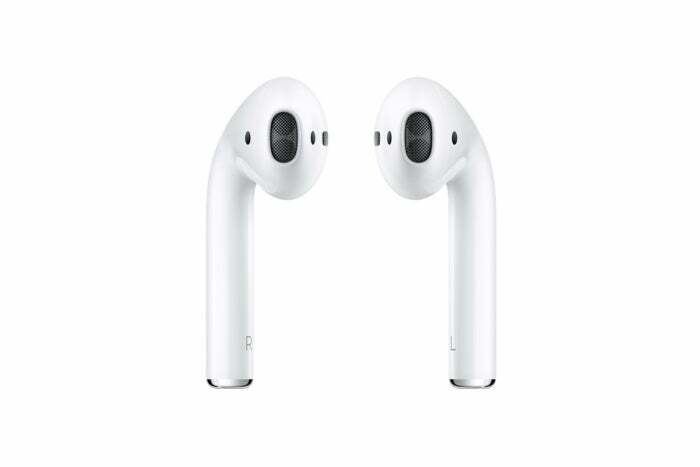 This functionality has been built-in since the Apple Watch’s debut, but to listen to your locally stored tunes, you need a pair of Bluetooth earphones. I’ve used other, sportier Bluetooth ’buds with my Apple Watch, but AirPods offer the best experience. It’s all about ease. You don’t have to power up the AirPods, then check your Bluetooth settings on your iPhone to make sure they’re paired. Just take them out of their charging case, pop them in your ears, and they’ll automatically pair to your watch. Leave your phone at home and work out with the playlist you synced to your watch by opening the watchOS Music app. 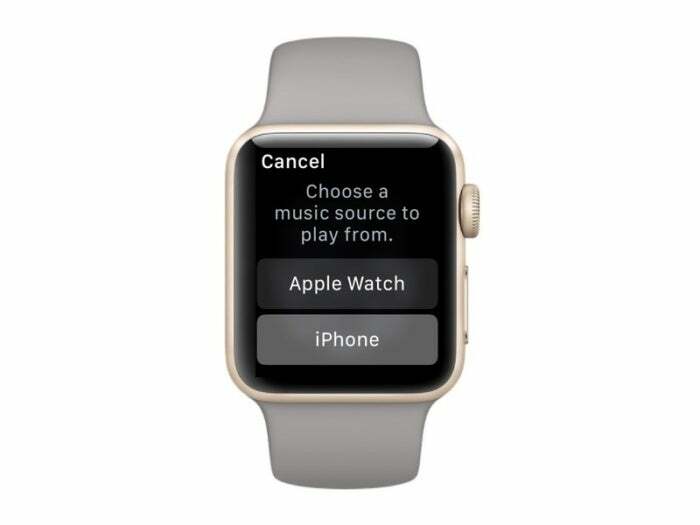 Choose the playlist you want to listen to and then switch the source from your iPhone (the default option) to the watch. Open the Workout app or a third-party fitness-tracking app like Runkeeper, choose your exercise, and get going. I’ve been longing for an easy way to work out without my iPhone 7 Plus close by. Apple Watch Series 2 made that easy. AirPods make it easier.